The hotel is adjacent to the Intel main campus and walking distance to the Intel building C11. Comfort Inn consists of 70 one and two bedroom rooms with kitchenettes. Every room complete with cable TV, desk with free high speed internet, refrigerator and microwave. Special features include free hot breakfast, outdoor pool, guest laundry facilities. Walking distance to restaurants. 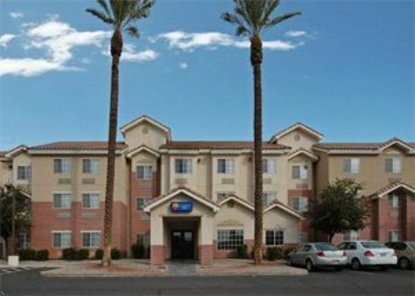 The hotel is located within 20 minutes of Phoenix Sky Harbor Airport and 5 minutes from Motorola, Allied Signal, Microchip, Ryobi, and next to the Intel Chandler main campus. Complete room renovations completed in January 2008. Hotel is 100 percent Non-Smoking.